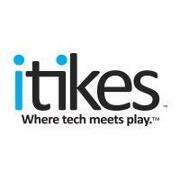 Have you heard of itikes? I love their product. We’ve actually only tried the Canvas so far, but the other iTikes product are on my wish list for my kids for the holidays! I really think that this is a genius idea. With the itikes canvas, you can use it in one of two ways. You can use it as a magnetic canvas board for drawing or you can use it with your Apple iPad. Where my son enjoyed using it as a magnetic canvas board, the options available to you with the Apple iPad are incredible. This is so easy to use and so much fun for your child. All you do is download the free interactive app that gives you everything you need into making the itikes Canvas the most incredible interactive creativity station there is. My son loves this. I love art. Art is very important to me. I feel that it helps your child express their creativity from a young age. This free App expands your Canvas play with artist tools, coloring pages and games! With the itikes Canvas your kids can create art in many different ways. You receive a stylus that helps you draw and create. My son loved being able to have a blank slate where he could draw whatever he wanted and could also chose the colors that he wanted to use. This is one of my sons favorite options. Your child has the option to add pictures or frames to their pictures. They have complete creative control to chose with a touch of the finger what they want to add and where they want to add it! With this app, you can also chose coloring pages that your child can draw. They get the chance to pick their colors and chose from 6 different tools for their artwork. They can coloring different coloring pages, or the same one over and over again with different colors and designs. On the sides of the Canvas you have six different stamps that you can add to your picture. You can stamp them onto your picture or coloring page. Your child as complete creative control and they can chance the size or color of the stamp right on the screen! The itikes Canvas is so easy to use. They can draw on the magnetic canvas board and use the crank to erase and draw all over again! I really like the itikes Canvas. It is a product that highly encourages creativity, imagination, artistic ability and learning. I love that it can be used with the iPad with the fabulous app, but it can also be used just as a drawing canvas. If you are looking for a great toy these holidays for your child, look no further! This is so much fun, you can take it on the go and your child will spend hours enjoying imagination and creativity! You can buy it online for only $39.99. This would make a great gift these holidays! I am excited that I get to give away an itikes Canvas to one of my readers! Previous Post: Little Tikes Cook ‘n Grow Kitchen Review and GIVEAWAY!